Most employees will sign a written contract of employment when they start a new job. It is safe to say, that most employees do not have bargaining power to negotiate terms, especially when they enter into the contract of employment and especially if they are out of work at that time. As a result, employers often have the power to impose stringent terms on an employee when they accept a job. One example of such a term is a termination clause which limits the termination pay the employer is required to pay an employee in the event of termination without cause. Often when employers include a termination clause in the written employment contract, it will purport to limit the amount owing to the employee on termination to only the minimum amounts set out in the Ontario Employment Standards Act, 2000, SO 2000, c 41 (“ESA”) and nothing more. As any employment lawyer will know, in many cases, the language of the termination clause will render it void with the result that the employee is entitled to reasonable common law notice. That being said, with good legal advice and a strong grasp of recent case law, employers can and do draft termination clauses that limit an employee’s rights to termination pay to only the minimum amounts under the ESA. Is this fair though? Should an employee’s entitlements to termination pay be limited only because the employer has the resources to hire a savvy lawyer to string together the right combination of words in an employment contract that the employee can’t even understand? Moreover, the difference in the amount of termination pay owing to an employee in the event there is an enforceable “ESA-only” termination clause can be staggering. For example, in the case of an employee with 20 years of service, the ESA might only require that the employee receive 8 weeks of pay and 8 weeks of benefit continuation, whereas the same employee’s right to pay in lieu of notice at common law would me an expected minimum of 6x that amount. In this blogger’s opinion, the reality is that in the vast majority of cases, employees do not understand what the termination provisions in their employment contract mean, nor do they appreciate what rights they are foregoing when they sign an employment contract that features an “ESA-only” termination clause. Unfortunately, however, there is little case law that supports the idea that termination clauses can be unenforceable because they unfair. 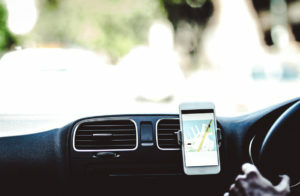 A recent decision from the Court of Appeal in the Ontario Uber class action (Heller v Uber, 2019 ONCA 1), however, might provide an opening for employees to successfully argue that ESA-only termination clauses should be unconscionable at common law, and by extension, unenforceable. In the Uber case, the question was whether a term in the standard form contract that Uber drivers enter into, should be enforced. Specifically, the term in question purported to prevent Uber drivers from taking any legal action against Uber with respect to their employment status except by commencing arbitration in the Netherlands. The Court, for a number of reasons, ultimately found that the term was unconscionable and therefore unenforceable. In making its decision, the Court in the Uber case drew on recent case law setting out a two-step test for determining if a contractual provision is unconscionable at common law: 1) inequality of bargaining power and 2) unfairness. In this blogger’s opinion, it would seem that in some circumstance when employees enter into a written contract with their employer that features an “ESA-only” termination clause, there would be room to satisfy the above two-step test. First, it is well established that there is an inequality of bargaining power between employer and employee. In fact, situations where the employee will have equal bargaining power is quite rare. Second, and as the example of the 20-year employee above shows, “ESA-only” or other similar termination clauses can be incredibly unfair. 8 weeks of pay versus the potential for 20 months’ pay speaks for itself. Why should an employee’s right to termination pay vary so drastically because the employer had the money to pay a good lawyer to draft an air-tight termination clause at the time the employee entered into the employment contract? It remains to be seen, however, it appears to this blogger that employee’s ought to challenge termination clauses on the grounds that they are unfair or “unconscionable”. If your employment has been terminated and your employer is offering you a termination package in accordance with a termination clause that is contained in your written contract of employment, make sure you get appropriate legal advice – and employment lawyer may be able to help you secure a more favourable result. Call Monkhouse Law today for a free 30 minute phone consultation!